The Armored Hull Boat Shield™ helps eliminate many of the 'problems' associated with keeping your boat in the water. While there are other available options on the market today, the Armored Hull Boat Shield™ is beyond compare. Why not use the best and forget the rest. 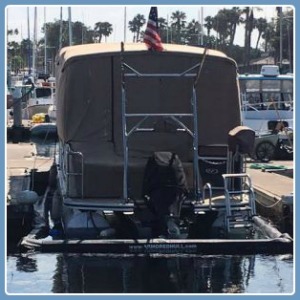 With the built in ease of use inherent in the Armored Hull Boat Shield™ as well as in its patented Air Gate™, you can be on your way to a stress free day of play in a matter of minutes. Not only that, upon returning to your dock, entry into the Armored Hull Boat Shield™ is painless and stress free as well. With the prices of boats today, you want to do everything possible to keep your investment protected. And your first step in doing that is eliminating and of the waters debilitating effects. And the first step in avoiding that damage is securing your boat in an Armored Hull Boat Shield™. You can be on your way to wonderful day on the water in a mere 30 seconds. When owning a boat, fuel economy is of the highest priority. And one of the main keys to doing that is by keeping your boats hull as smooth and free of debris as possible. And the best way to accomplish that is with an Armored Hull Boat Shield™. 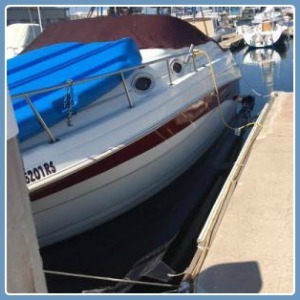 If you've ever owned a boat and had to deal with everything involved in both having your boat bottom painted, as well as the maintenance required after your hull has been painted, then you'll know the best thing to do is to avoid that entire process altogether. And the best way to do that is with an Armored Hull Boat Shield™. 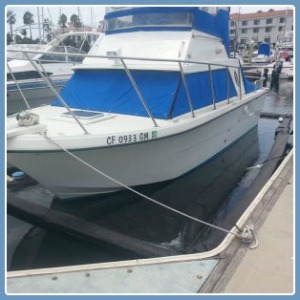 Electrolysis can seemingly eat your boat alive. Why not stop that process before it even gets started. Because once it starts, stopping it is anything but easy. The Armored Hull Boat Shield™ with its patented Air Gate™ can help you do just that. Sure, the zinc's on your boat are meant to deteriorate. After all, that's their job'. But the cost of replacement, both the zinc's themselves as well as the installation (quite often requiring hauling the boat out of the water), is something to avoid as much as possible. And one of the best ways to cut down on the frequency of replacing thos zinc's is with an Armored Hull Boat Shield™. OK, so you bit the bullet. You had your boat hauled out, the entire hull scraped of all growth. Then it was supposedly prepped correctly (difficult to truly tell unless you were present when the work was done), and on top of that some very expensive bottom paint was applied. And back in the water your boat goes. End of story. Right? Well, not so much. Actually, that's only the beginning. Now you have the pleasure of maintaining that bottom paint. Meaning having a diver show up monthly to scrape off that expensive bottom paint that you just had applied. And with every cleaning, you're getting closer to once again having to haul your boat out and repeat the entire process all over again. Why not eliminate that entire situation altogether. And the best way to do that is with an Armored Hull Boat Shield™.